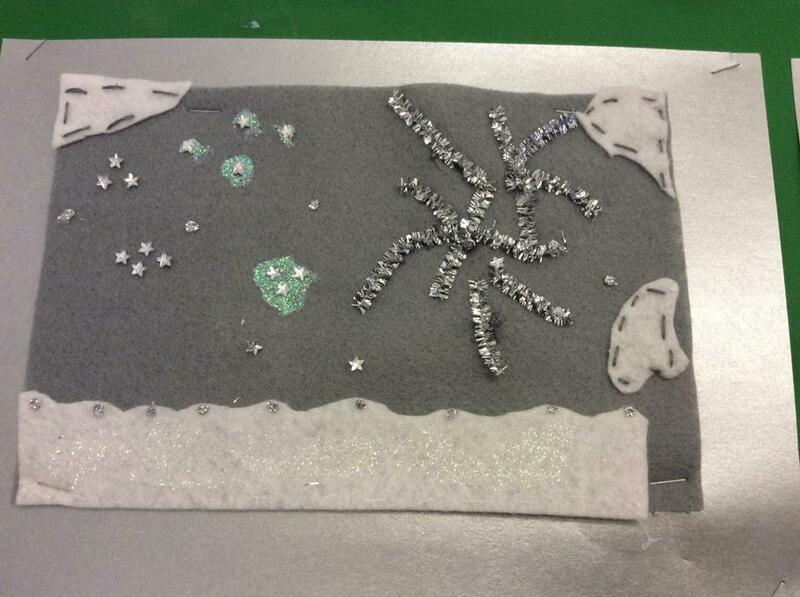 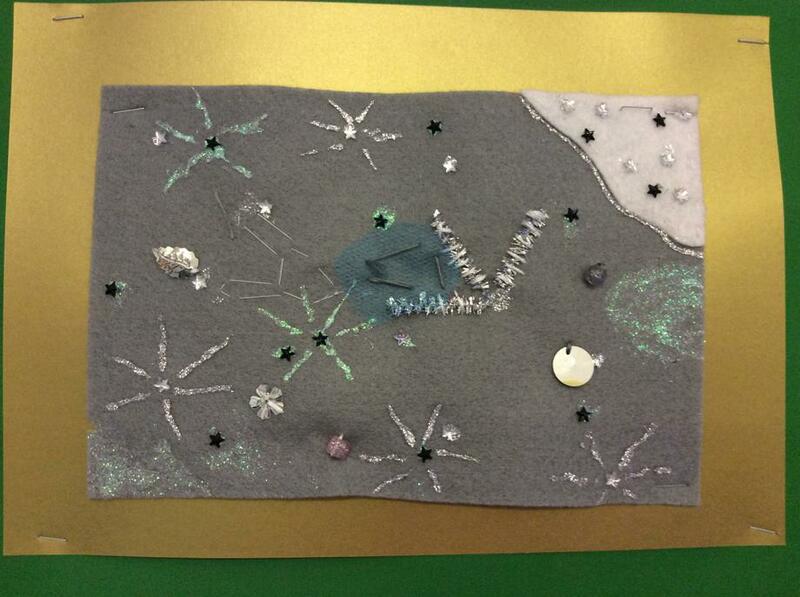 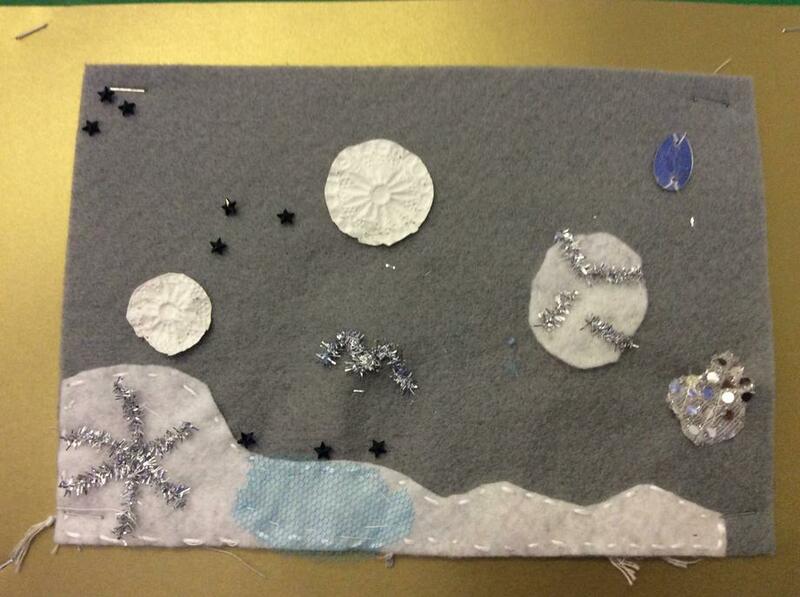 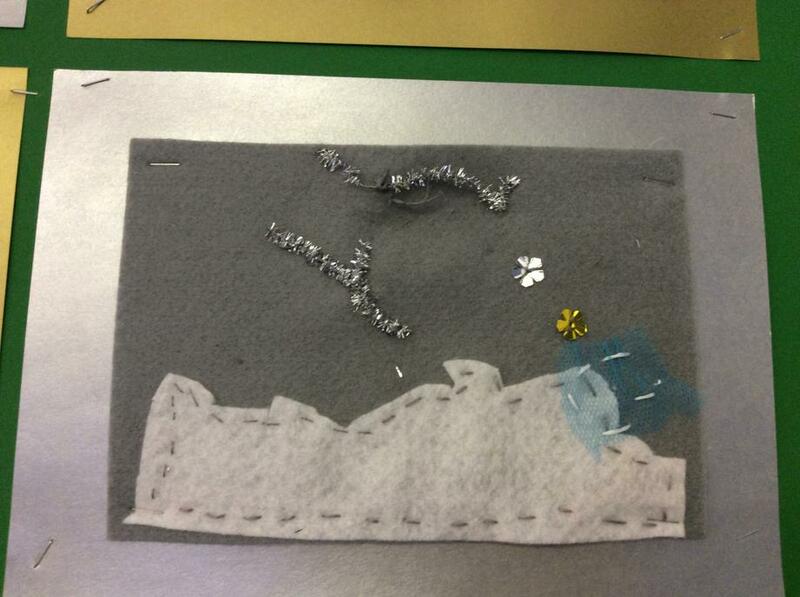 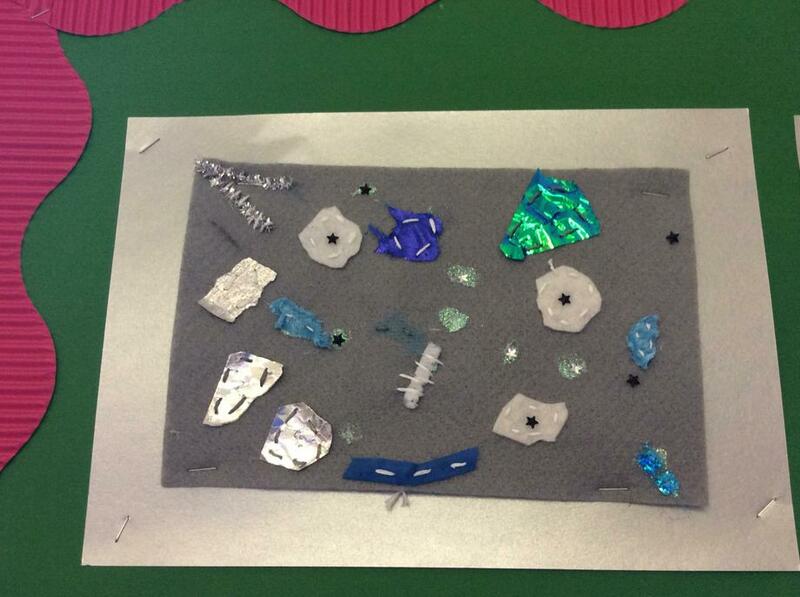 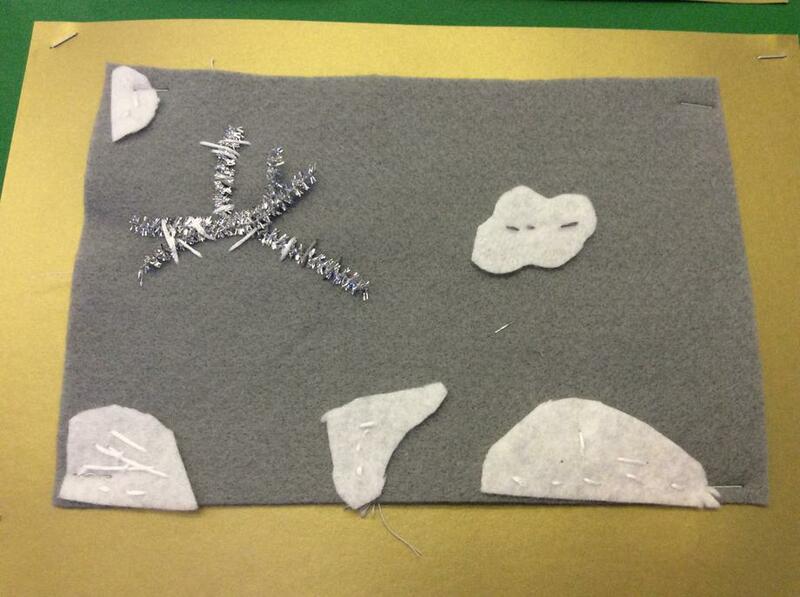 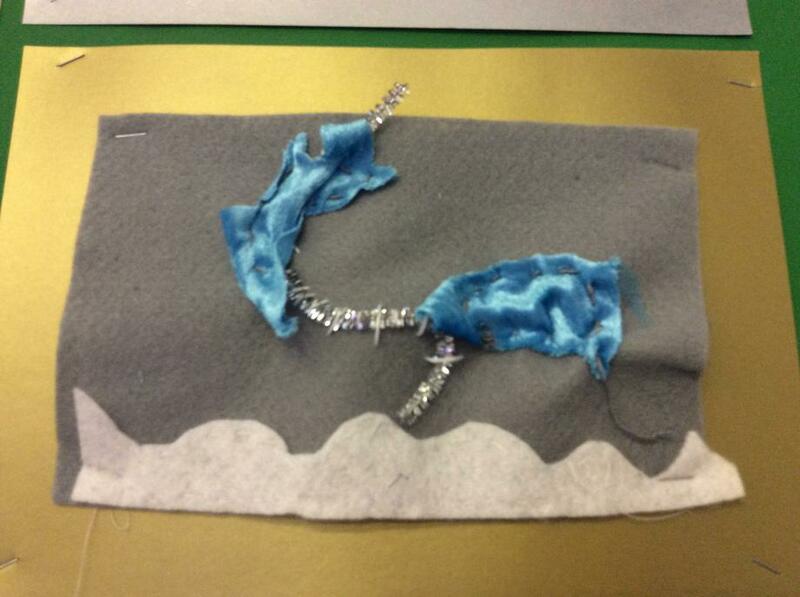 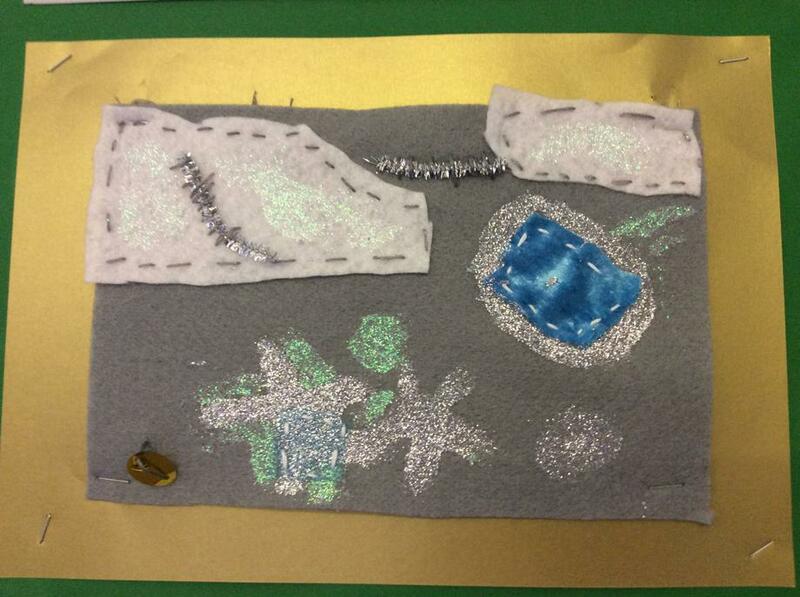 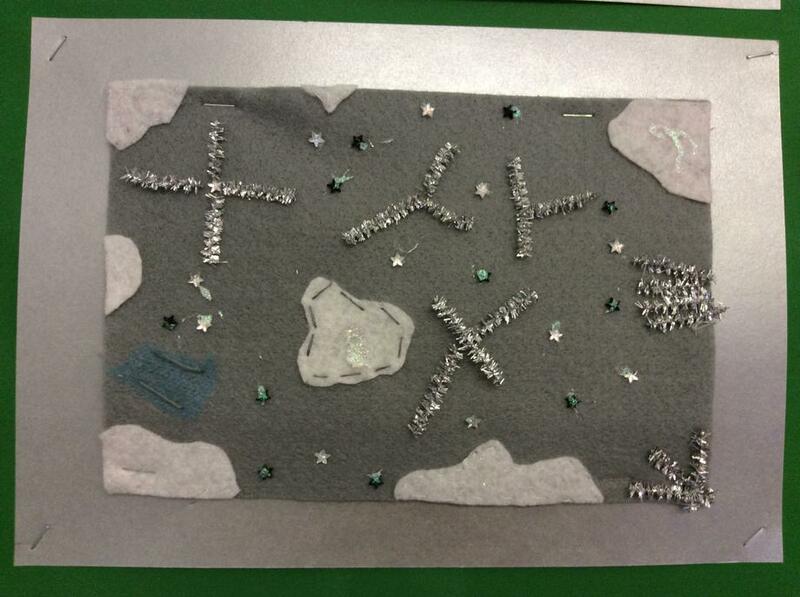 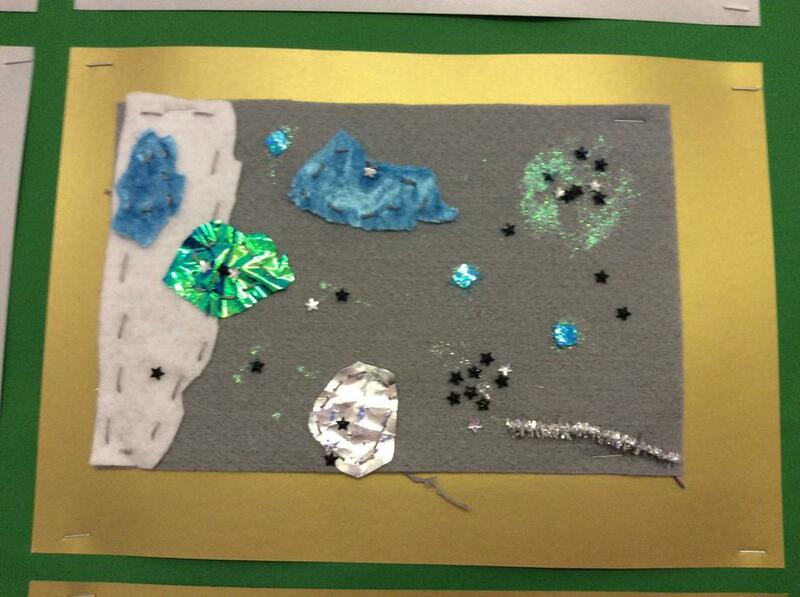 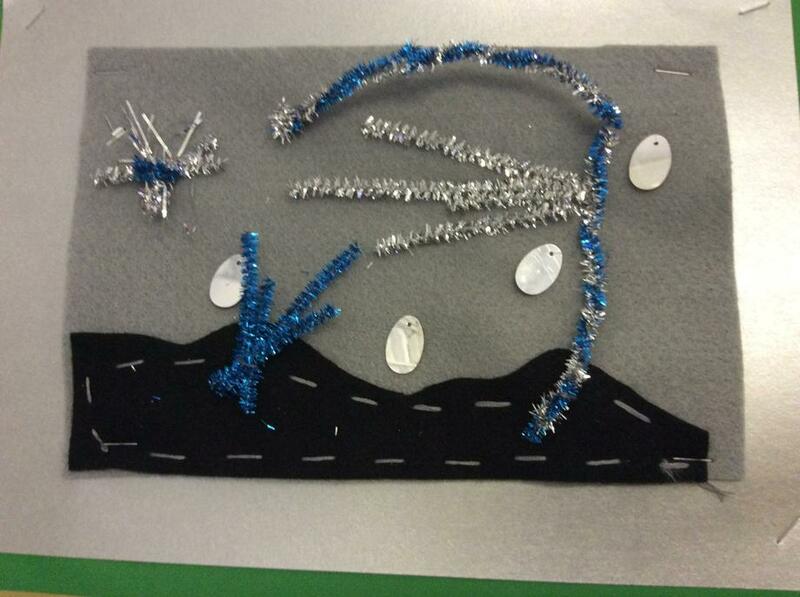 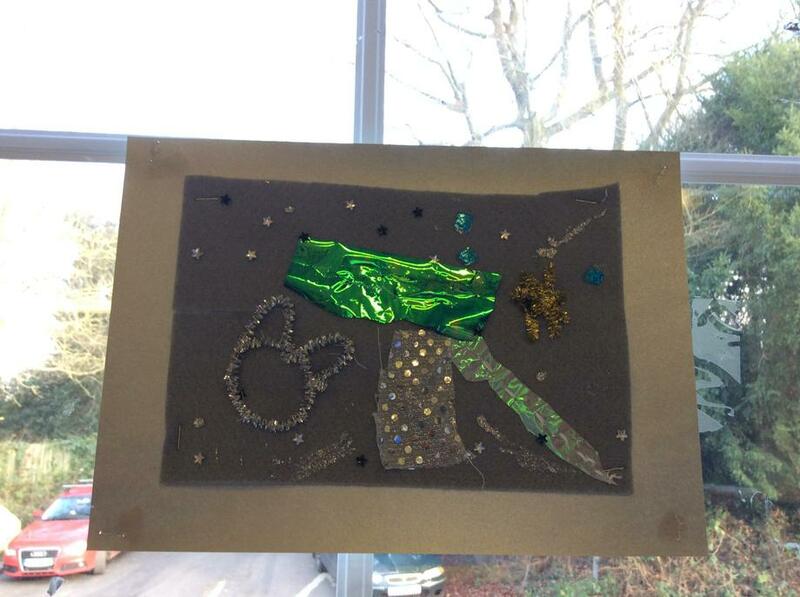 Having studied the moon in lots of detail this term, we are using it as our inspiration in D.T. 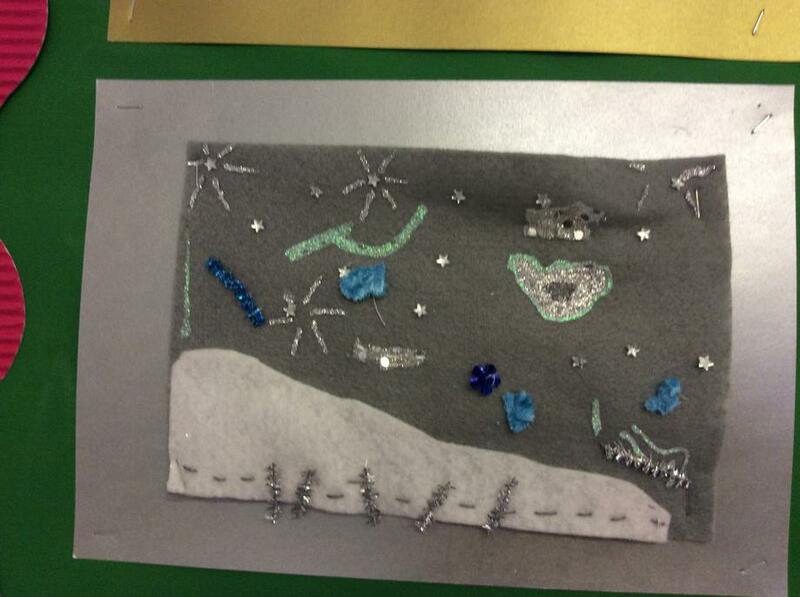 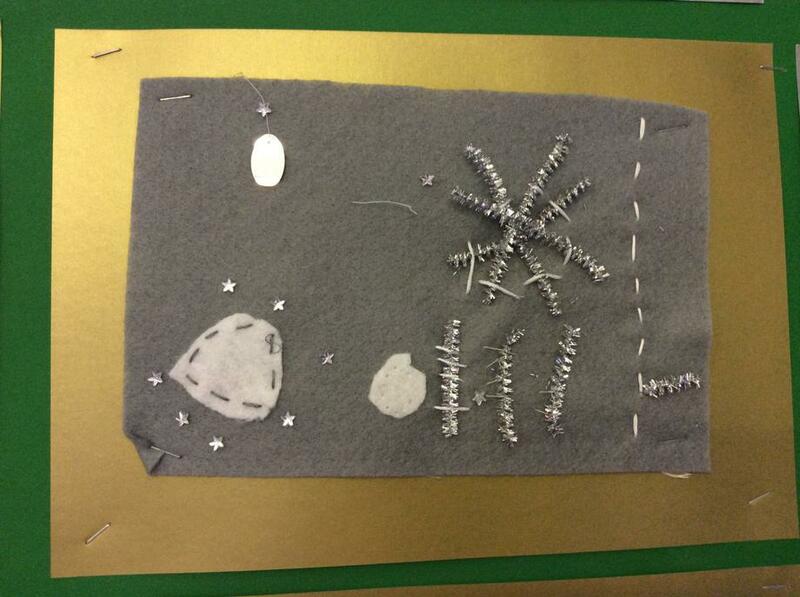 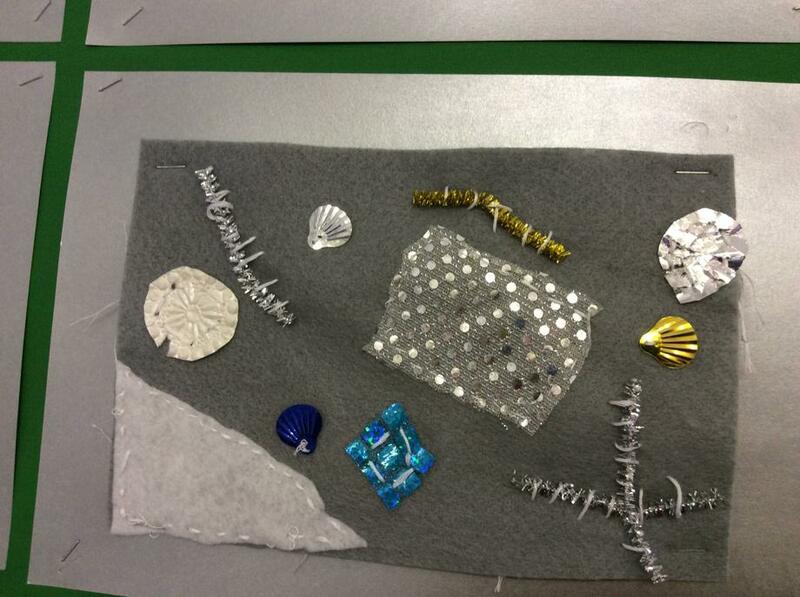 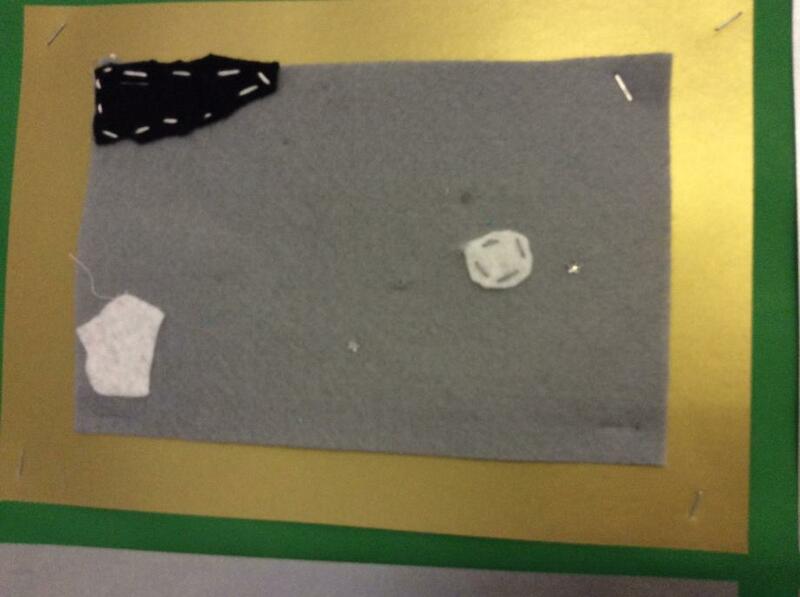 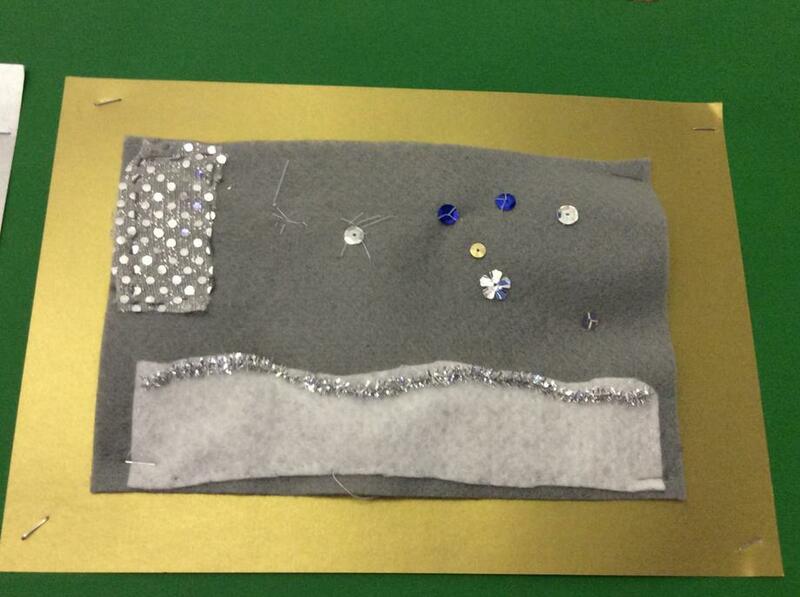 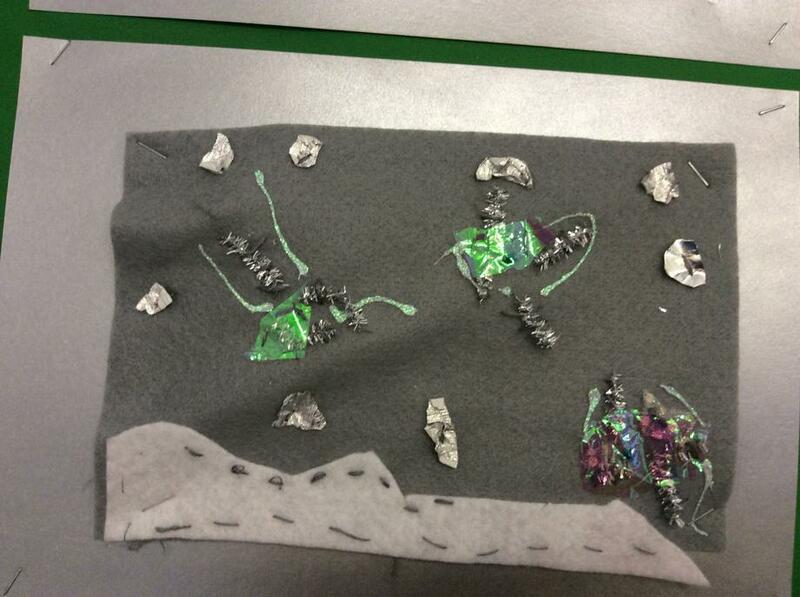 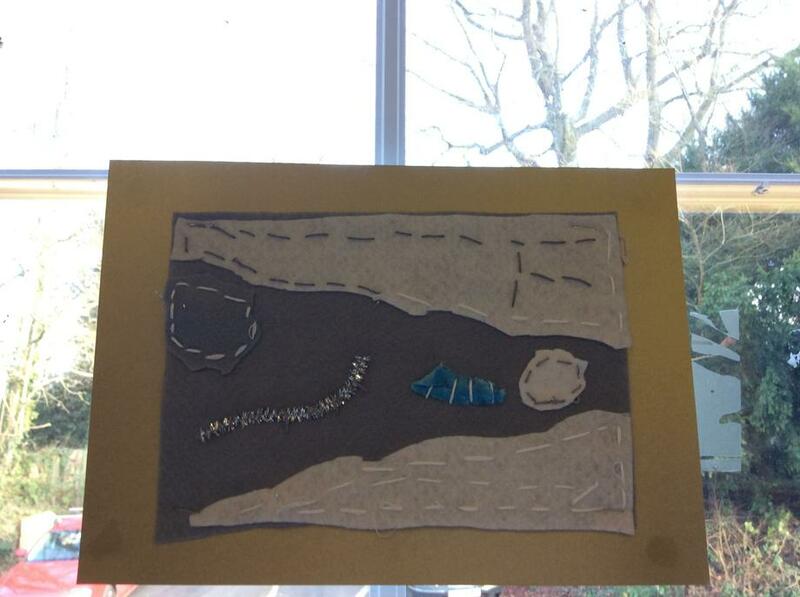 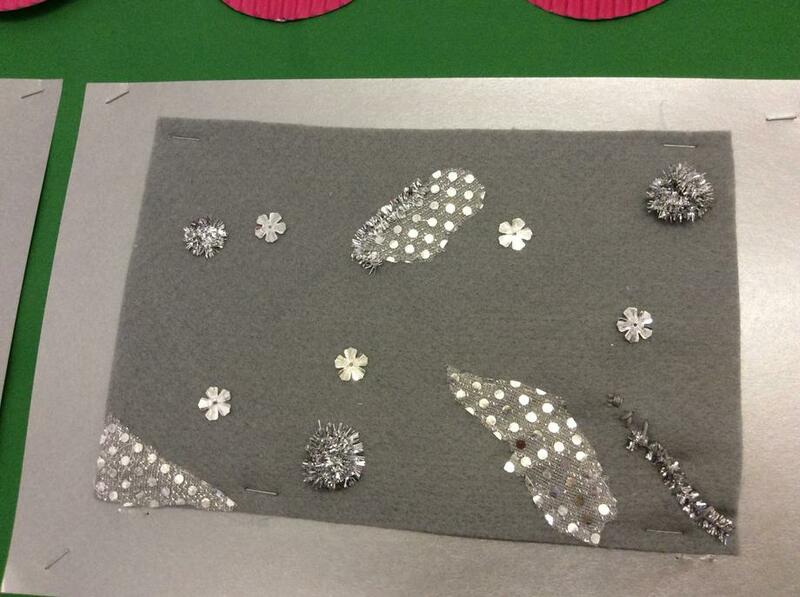 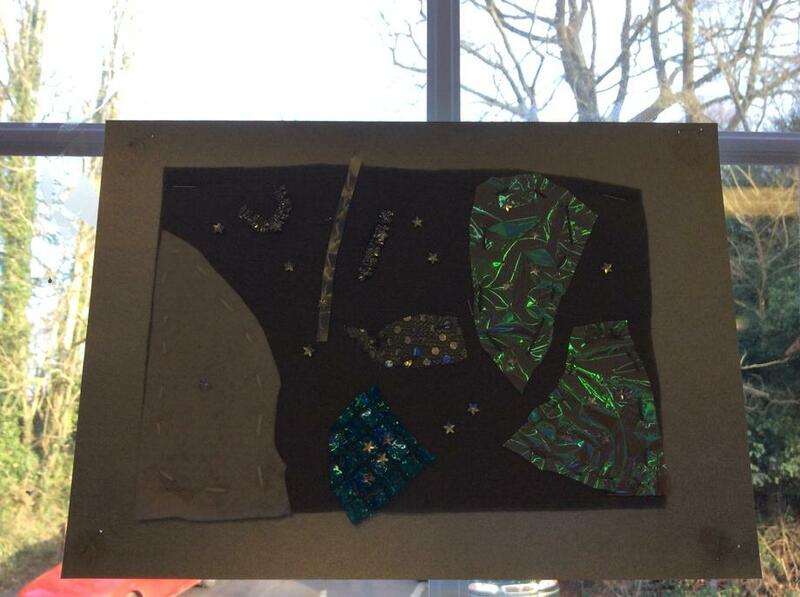 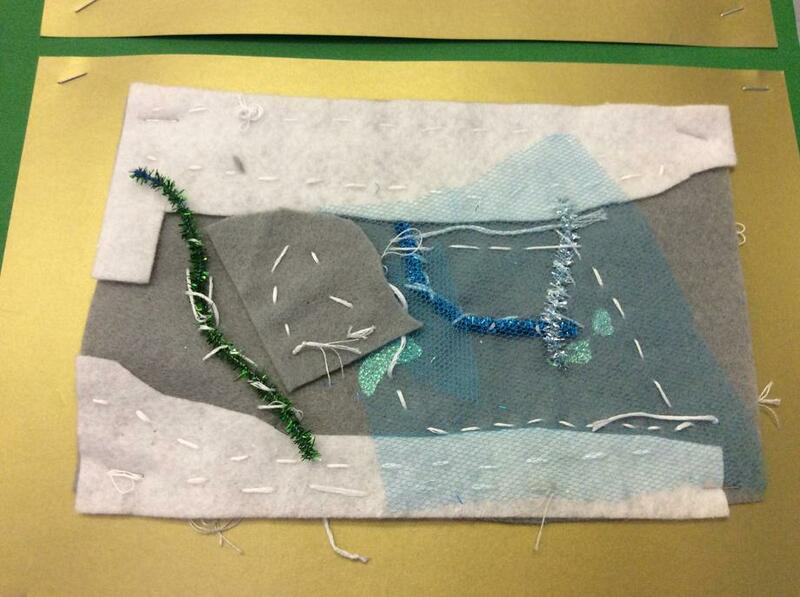 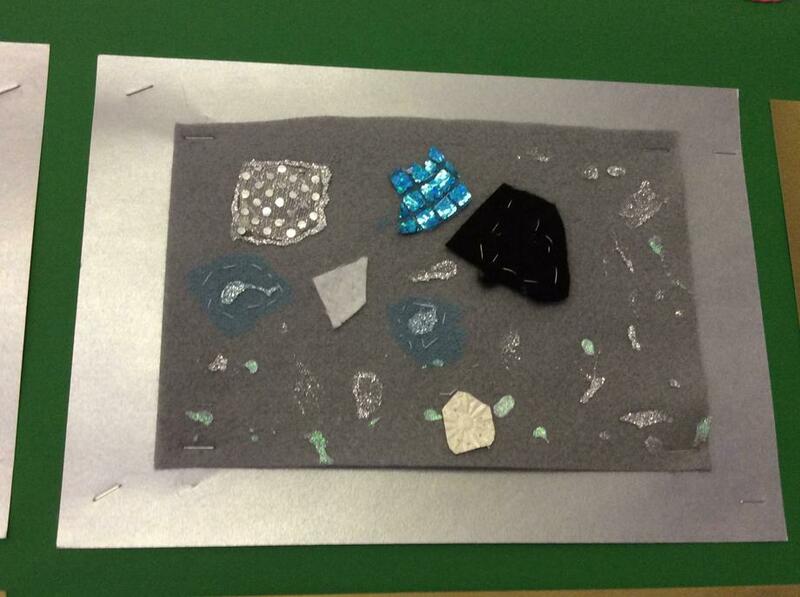 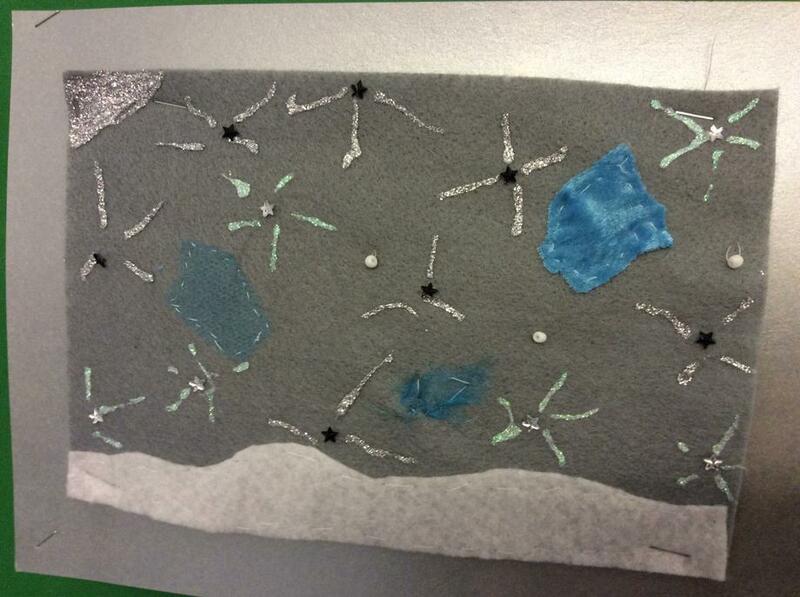 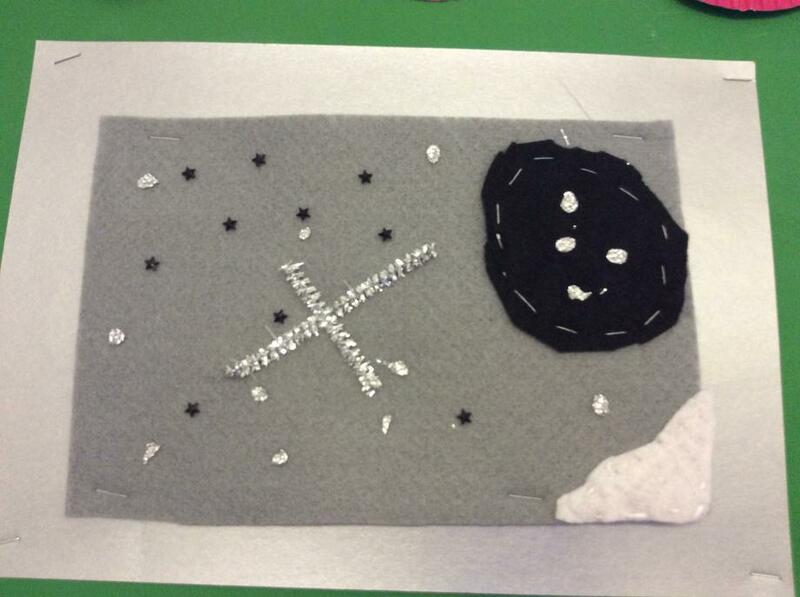 We are learning how to create a textiles sample, based on the shapes, textures and colours of the surface of the moon - so far they are looking good and our sewing skills are really improving! 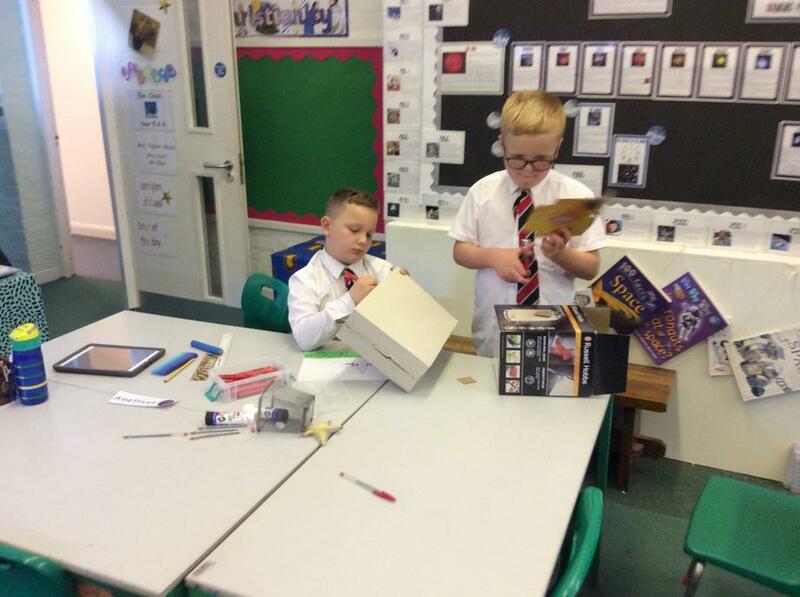 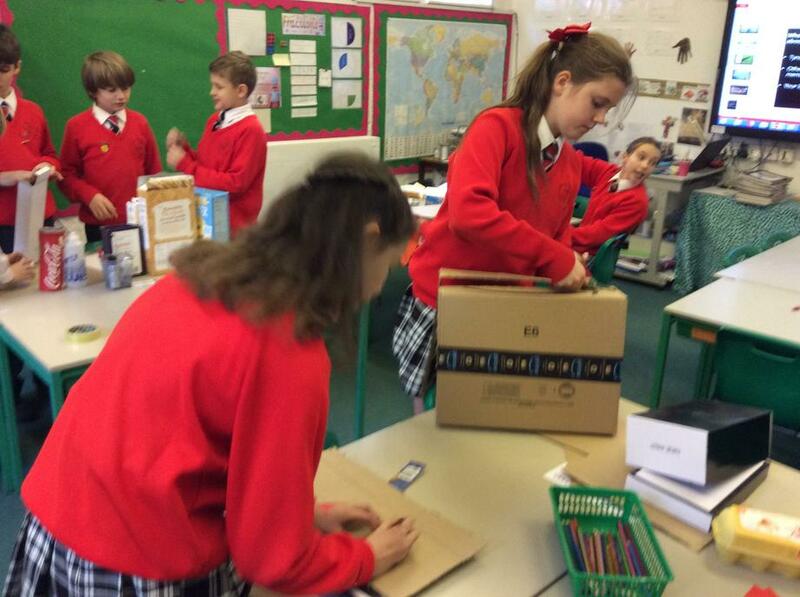 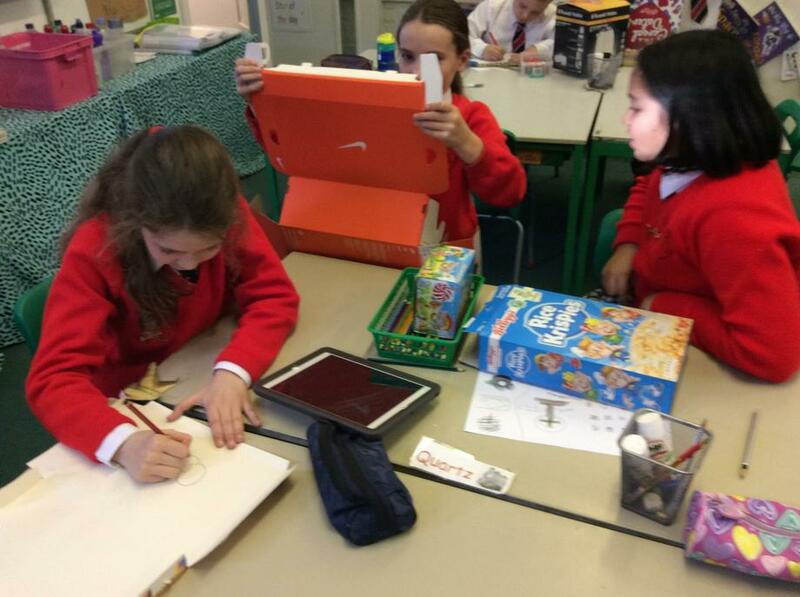 Because our termly topic is space, we are creating some 3D models of the planets in our solar system. 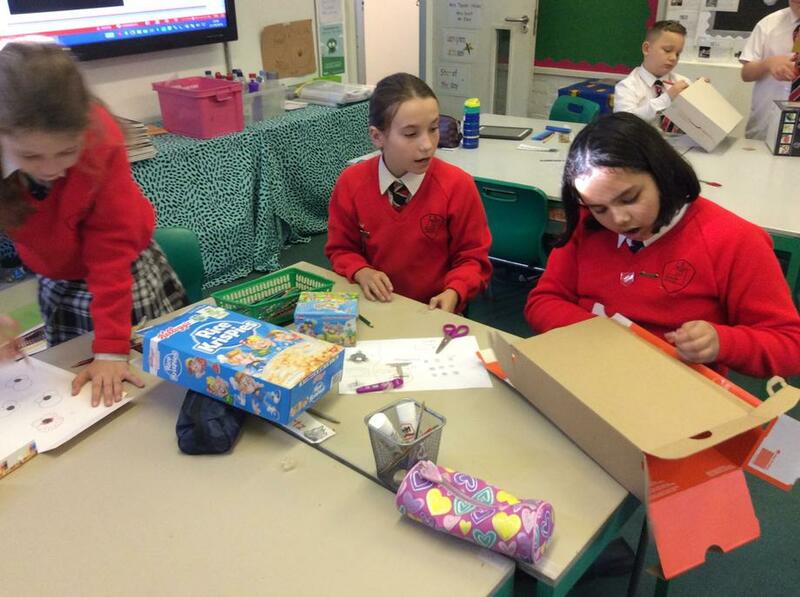 So far, we have worked in teams to create a papier-mâché structure, which we will then paint and decorate to reflect our given planet. 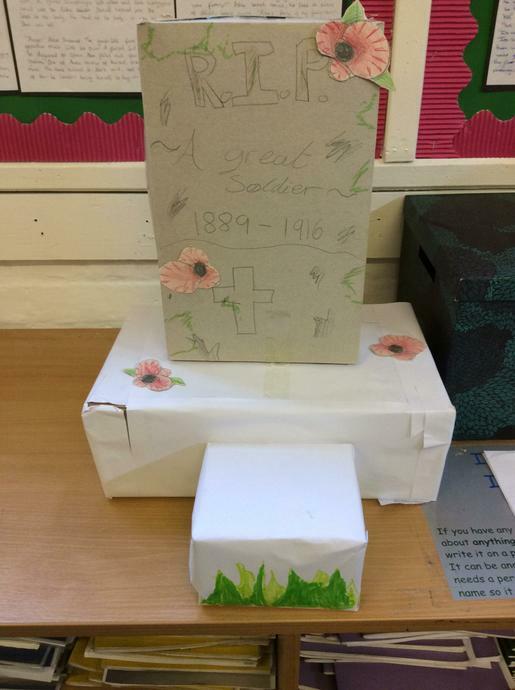 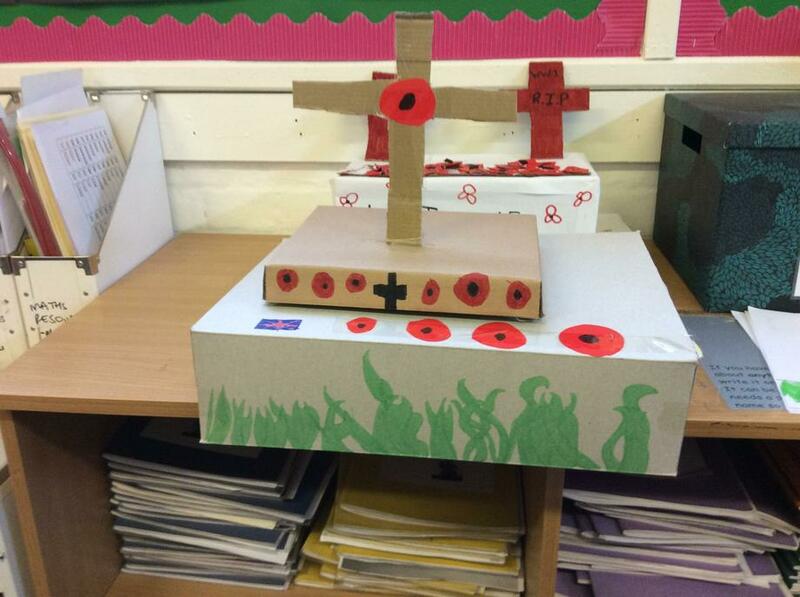 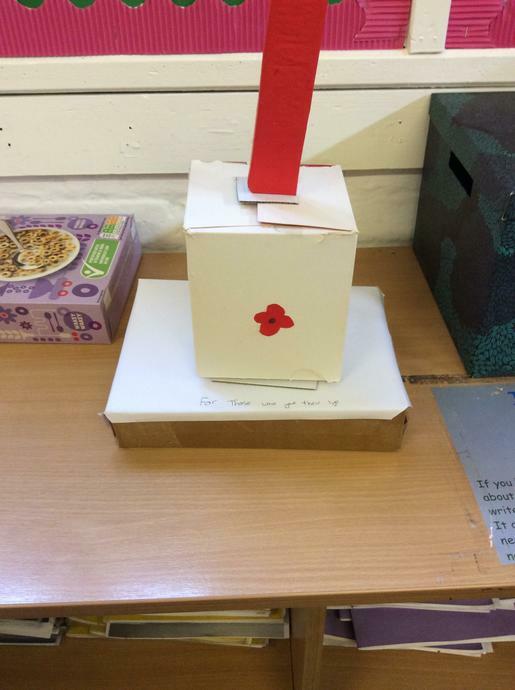 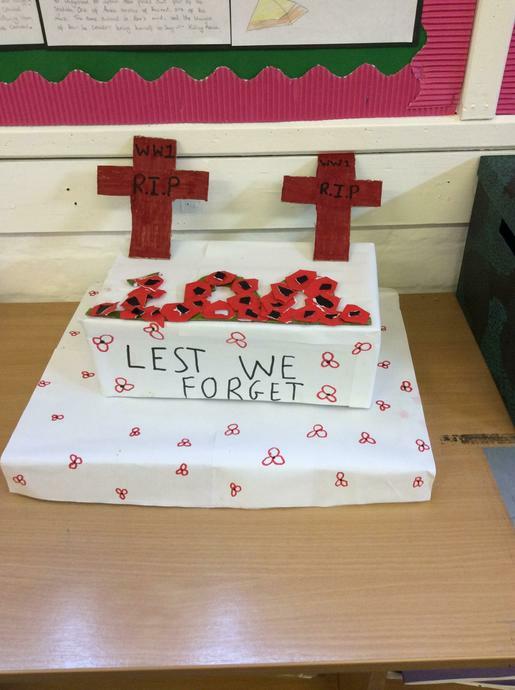 As part of our special week of learning to commemorate the centenary of the end of WW1, we researched war memorials. 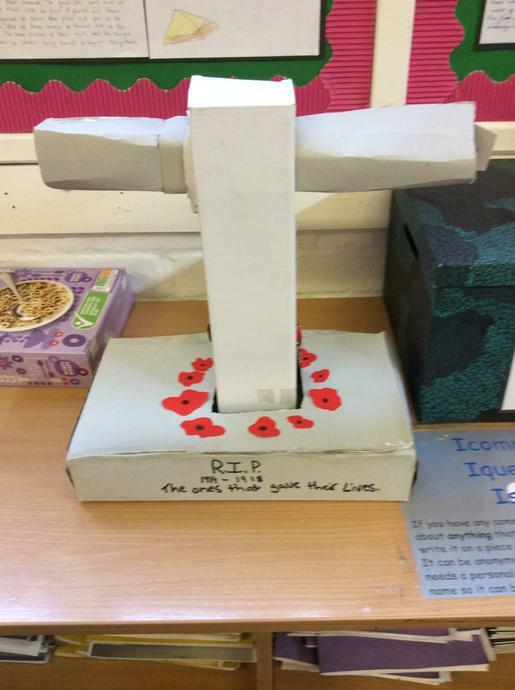 Based on this, we designed our own, which we then worked in teams to create. 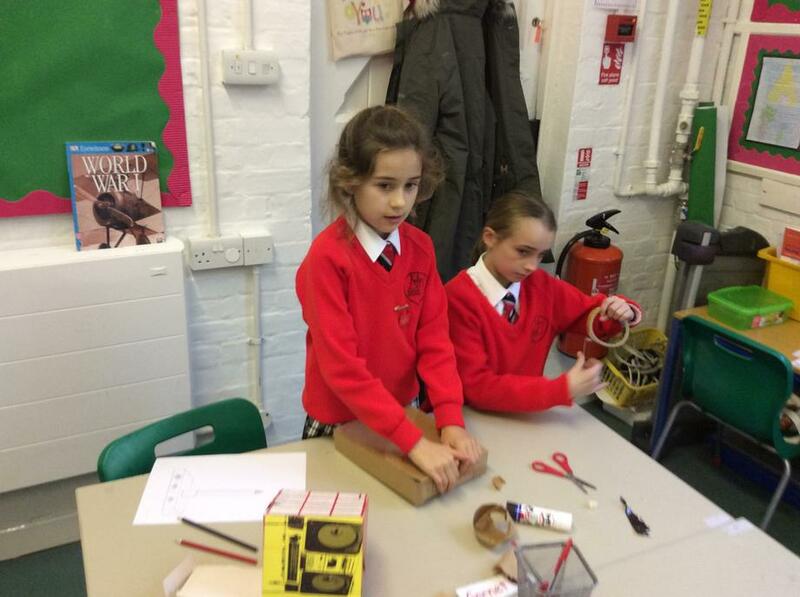 In D.T, we constructed some pyramids. 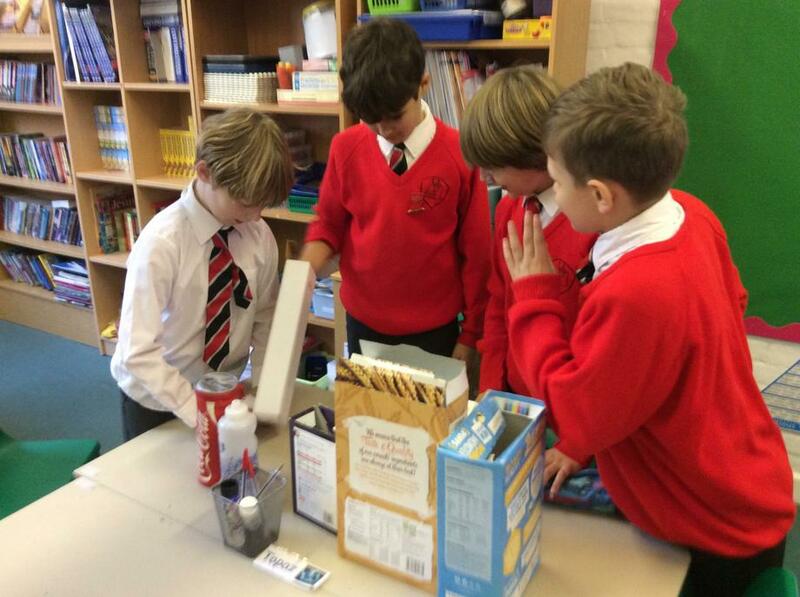 In our teams, we had to decide which materials to use, based on their qualities, in order to produce a successful structure.